This story originally appeared on Interlochen Public Radio and is republished here with permission. Environmentalists are celebrating the return of the Kirtland’s warbler in Michigan’s Northern Lower Peninsula. The small yellow-breasted songbird has been on the brink of extinction since 1973. It was put on the endangered species list that same year. The Kirtland’s warbler population has come a long way since then. The Department of Natural Resources (DNR) said its numbers have rebounded from a low of about 350 in 1987 to more than 4,000 new and is exceeding its population recovery goals. Work to conserve the species was shared among government agencies and conservation groups like the 5-year-old Kirtland’s Warbler Alliance. In 2013, biologists and conservationists recommended removing the bird from the federal list of endangered and threatened species. And in April, the U.S. Fish & Wildlife Service formally proposed removing it from the list. There’s now a public comment period underway, and the agency says, Any final action resulting from this proposed rule will be based on the best scientific and commercial data available and be as accurate as possible. Rapai says the alliance’s work isn’t yet done. 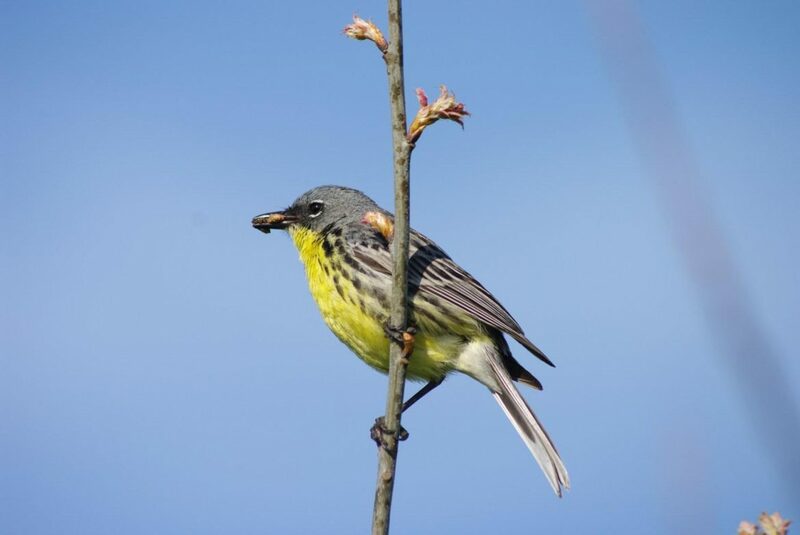 The Kirtland’s Warbler Alliance holds an annual event celebrating the bird’s conservation. This year’s event took place at Kirtland Community College in Grayling.